Far Above Rubies: Merry Christmas!!! This is the end of Christmas for some, but it is just the beginning for us! We will have Christmas dinner today with my brother and his family here from Georgia. 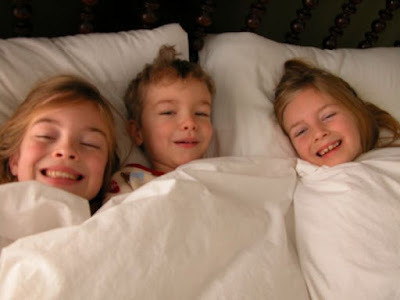 Then, as is the custom in Puerto Rico, we will celebrate "Los Reyes Magos" (the three kings) with the children. On the night of January 5, the three kings bring gifts. The children will leave grass in a box under their beds for the kings' camels to eat. This is to observe when the wise men came to visit baby Jesus. So we will not be taking any decor down until after the New Year! I will be posting a "Three Kings" tablescape with a runner from some wonderful fabric I bought in Turkey with camels, that I cannot wait to do. In the meantime, I hope you are all enjoying your family and friends. What a darling family you have, Anita! And you are soooo lucky to still have your Mom around to help with the Christmas cooking. I swear, I don't know how my Mom did it with 8 kids. I would love to be able to just sit down with a cuppa tea with her now. She's been gone now almost 15 years & I still miss her. You could TRY to tell us how your Mom makes her bisquits. I would love to know the basics, even if mine don't come out as fluffy & light as hers, I'm willing to try. Anita, you have lovely family God bless them ,I have a very nice Christmas,we have 21 quest in my house me and my husband roast a pig in the back yard. we do a traditional Noche Buena, I also celebrate the Tres Reyes Mago (three kings)My daughter Monica is 20 year old but she also belive in the three kings. we taking decorations down after January 6 . Good to read that you spent a wonderful Christmas with your family and still more to come- ours is similiar- Christmas is spread out with different sides of the family and we keep our decorations and tree up until right before New Years- I consider the week after Christmas to be rejevunation week- a time to reflect on the months past and what could be in store for next year. I had to laugh at the comment about your mom's biscuits- feel the same about my mom's fried potatoes and chicken and dumplings. Merry Christmas and Happy New Year. Still envious of your snow!!!! Merry Christmas late to you too. Enjoyed hearing about the Christmas traditions in Puerto Rico. Yes, Christ is the reason for Christmas. Love your plates. They are beautiful. 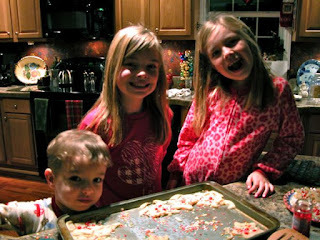 Anita your kids are beautiful, and looks as though they enjoyed the cookies:) How do you do such a nice job on your blog? Did it take you a while to figure out. What is import/export and what do you put in the URL, I am so confused I need a tutorial!